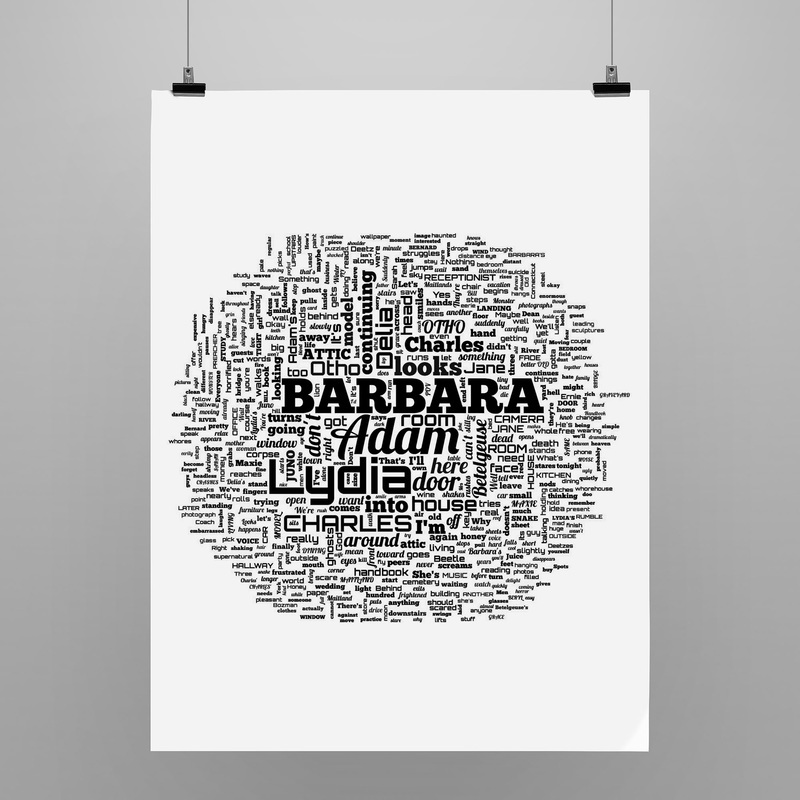 Every lyric from every song of landmark albums arranged together as a Word Crowd. Printed on heavyweight matt or glossy papers. Hit the 'buy one' tab above to request an album or collection of favourite songs to be turned into a unique artwork. Also available are a vast range of film scripts ranging from Ghostbusters to Goodfellas and Back To The Future. 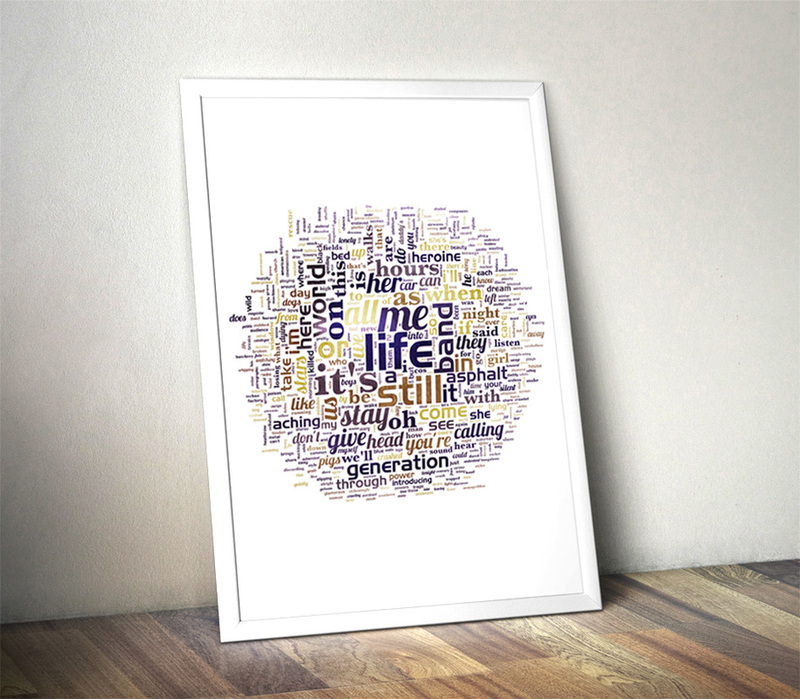 Or supply your own words for a perfect personalised gift. Every lyric from Parachutes by Coldplay as a Word Crowd. Suede, Dog Man Star. 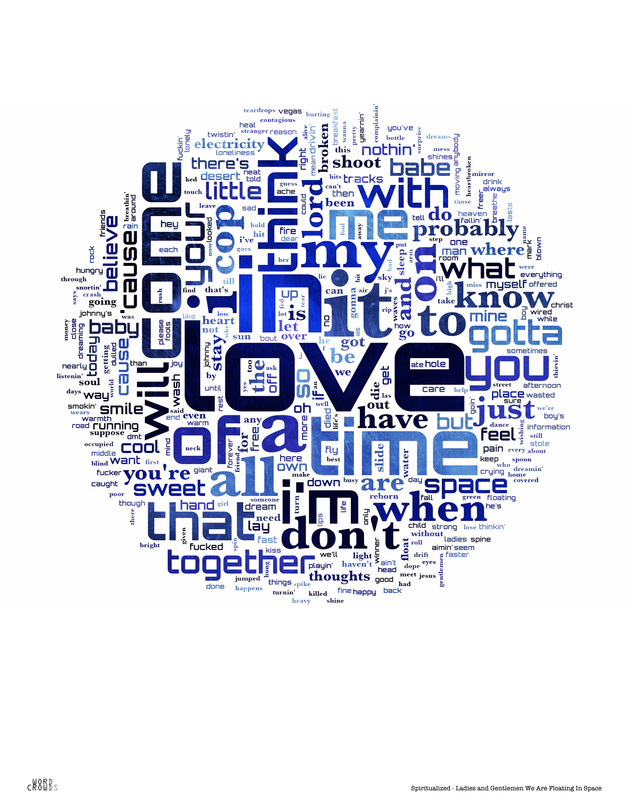 Every album lyric as a Word Crowd. 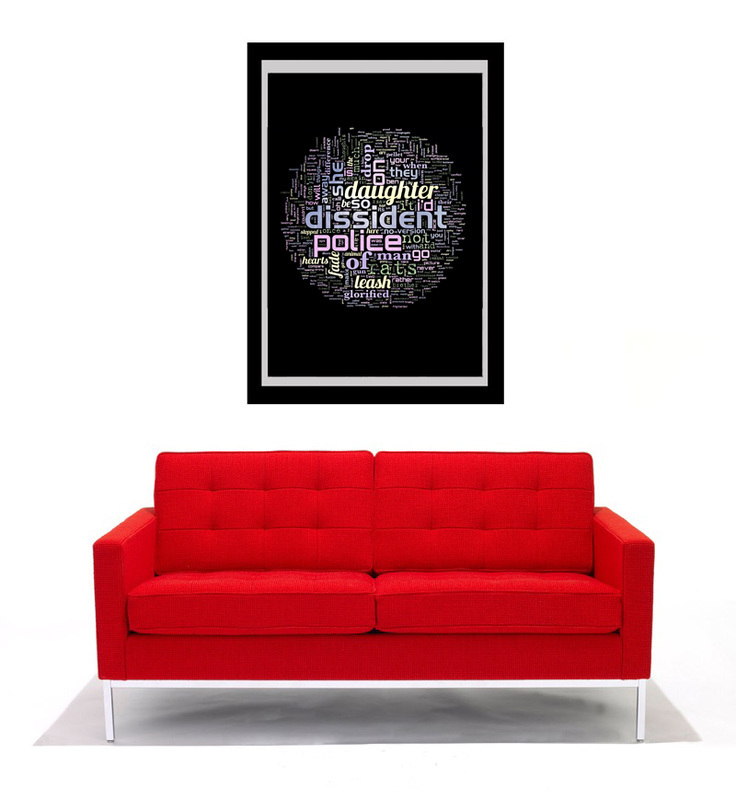 Every lyric from Homegrown by Dodgy as a Word Crowd. The Beatles - Sgt. Peppers Lonely Hearts Club Band, Oasis - Definitely Maybe, The Stone Roses - The Stone Roses. Every word from every album. 'LOVE IT!' - Bryan Adams. Yes, that Bryan Adams. Over 200 album Word Crowds ready-made, just drop us a line to see if your favourite album has already been made. Every lyric from Ladies and Gentlemen We Are Floating In Space by Spiritualised as a Word Crowd.